Surjit Bindrakhia was 41 years, 7 months	& 2 days old age. 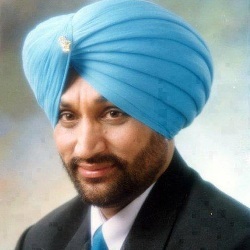 Surjit Bindrakhia was born on 15-04-1962 in Rupnagar in the state of Punjab, India. He was an Indian Singer & Musician who known for his work in Punjabi Cinema. Surjit Bindrakhia was arguably one of the greatest voices of Punjabi Bhangra. He was best known for singing a note breathless. Among his most noted songs are Bas Kar Bas Kar, Dupatta Tere Satrang Ka, Jatt Di Pasand and Tera Yaar Bolda are among his favorite songs. For his contribution to the Punjabi Music, he was honored with a special Jury Award at Filmfare in 2004. His father Sucha Singh was a well-known wrestler of his village named Rupnagar and the whole village was proud of his father’s achievement. He was highly inspired by his father and initially thought of having a career in sports. He participated in several Kabaddi and Wrestling competitions in his early life and also won many competitions. He won bouts at University level and his father thought that he too will make his village proud by becoming a wrestler. Life had other plans though for him. He decided to take singing as a profession. He started his singing career by singing at his college. He learned singing from his guru and mentor Atul Sharma. 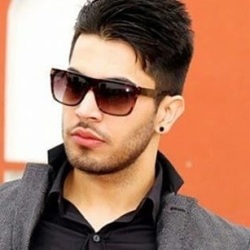 He appeared as an extra actor in a Punjabi film when the famous lyricist Shamsher Sandhu noticed his talent and it was he who wrote lyrics for his songs and his mentor Atul Sharma composed music for his songs. This conventional Singer from Punjab rapidly rose to fame and became one of the top Bhangra singers of his time. He is also regarded as the first international music star of Bhangra music. Bindrakhia breathed his last on 17-11-2003 at his residence in Mohali due to the heart attack. He was born to Sucha Singh and Gurcharan Kaur.